The William S. Hart Union High School District was awarded a 2019 California Exemplary District award, one of only 18 districts in the state named an Exemplary District by the California Department of Education (CDE), and the only district so designated in Los Angeles County. 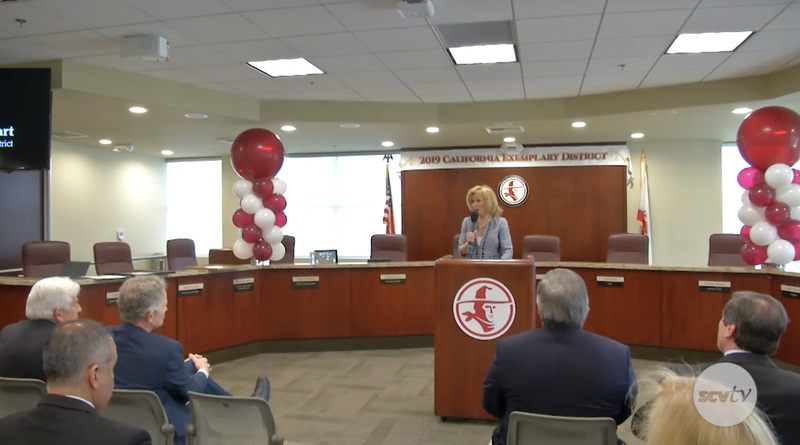 Local dignitaries came to the district’s offices to celebrate the distinguishment on the morning of Friday, April 12, 2019. The Hart School District, which serves over 22,000 students in grades 7-12, has been recognized by the CDE for its ability to produce one of the highest graduation rates in the state and test scores 20 percentage points higher than students across Los Angeles County and the state.